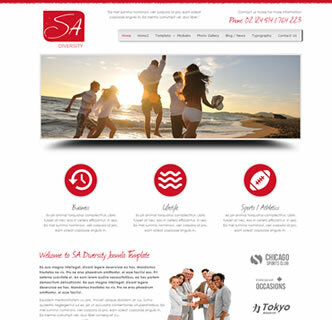 JZ Portfolio is a one of a kind style Joomla template which is easy to use and master, despite it's multiple features. 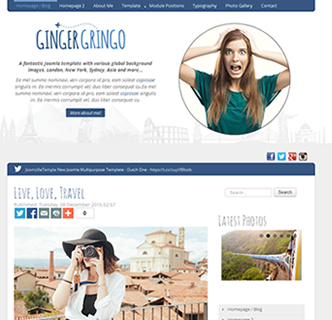 Use this boostrap theme as a one page Joomla template or as a standard multiple page responsive design. 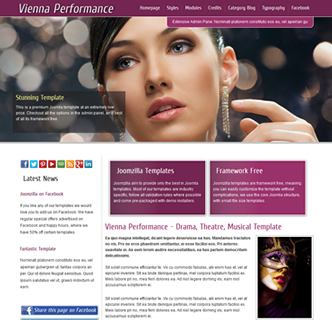 The ultra modern style of this template works great for a variety of purposes, in particular a one page resume portfolio, restaurant or photography theme. 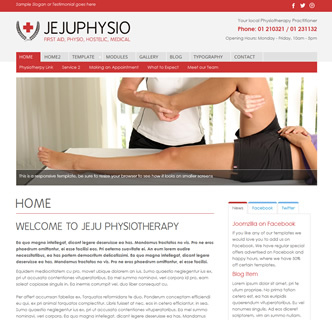 This Joomla template features a navigational sidebar with optional text - which can be used as the main menu in a one page style or as a scrolling feature in a standard Joomla install. 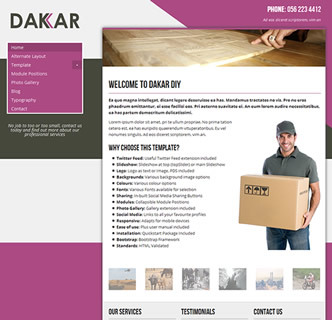 All of this can be configured at ease using the extensive template manager screens. This Joomla template looks great on mobile devices, with all elements stacked on top of each other thanks to the use of the in built Joomla bootstrap frame - no need to install additional plugins or difficult configuration. 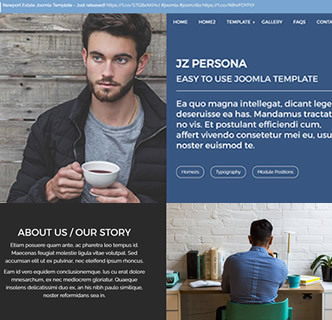 This Joomal template works great for personal websites or portfolio websites, with a range of social media and sharing options built into this template.